Oyster College of Architecture provides free bus services. Every effort is made to ensure that residents of hostel are comfortable, get the food and other social facilities by offering an impressive array of facilities and services. Visiting room / Spacious recreation room : Visiting room for the guests is available in the hostel with comfortable seating, lighting and toilet facilities.Hostel provides facilities for indoor games like Chess, Carrom ,etc. A television with cable is also provided. 4. Rack for stacking books. Reading Room available for Students and Teachers during Office Hours. Students are encouraged to make use of the reference section and periodicals, which cannot be taken out of the Library. Students are allowed to borrow two books at a time and are advised to return the same on due dates failing which they are imposed a penalty. 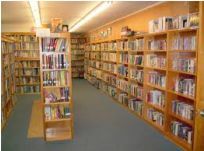 Departments have their own Seminar Library with Text and Relevant Books borrowed from the Central Library for use by the students at the respective departments. Departments provide reading space to the students to make full use of the Seminar Library. Architecture is a part of the overall culture and so can not be confined in the four walls. In order to develop the budding architects on excellent line, we believe it is necessary to go beyond the classrooms. Studio: There are studios with proper lighting ventilation, storage, drafting facilities with a capacity to accommodate. forty students, each. 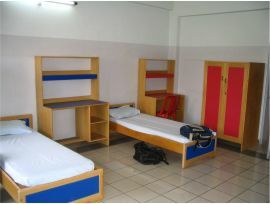 The rooms are very spacious to facilitate the students to work peacefully. Computer labs (Wi-fi Zones) There is satellite connectivity through v-sat in the entire academic building with an easy access to the internet through wireless connectivity. Oyster has adequate infrastructure to meet these above mentioned aims. There are four fields where students have the opportunity of developing their skills.